In a world and time where divorce can seem commonplace, a couple managing to stay together through thick and thin deserves a special and unique celebration. 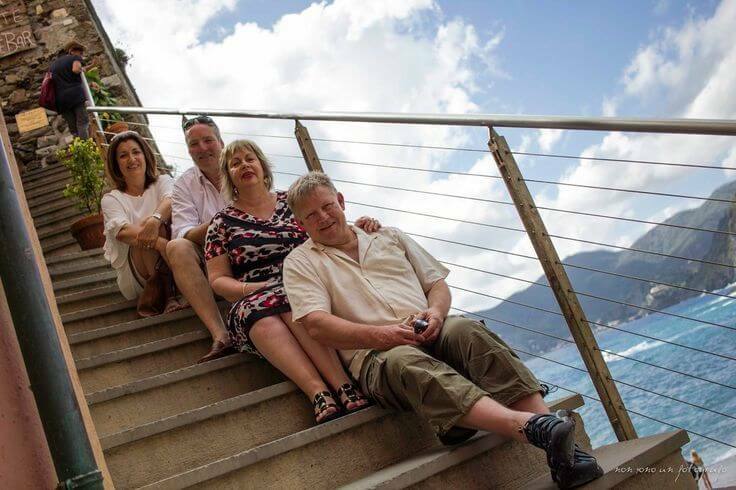 What’s more special and unique than celebrating it in the Cinque Terre? And in Vernazza? Each love story is unique and special. It’s your life, one of the most important moment of your life as a couple we’ll be taking in our hands to help you get the most! Pick a Date, much like your wedding, you have to decide when to host the vow renewal. An anniversary or a date that is special to the two of you would be a nice touch. Don’t feel limited to the words. You could include sentiments and promises born since you’ve been married or you can just repeat the original vows you took. 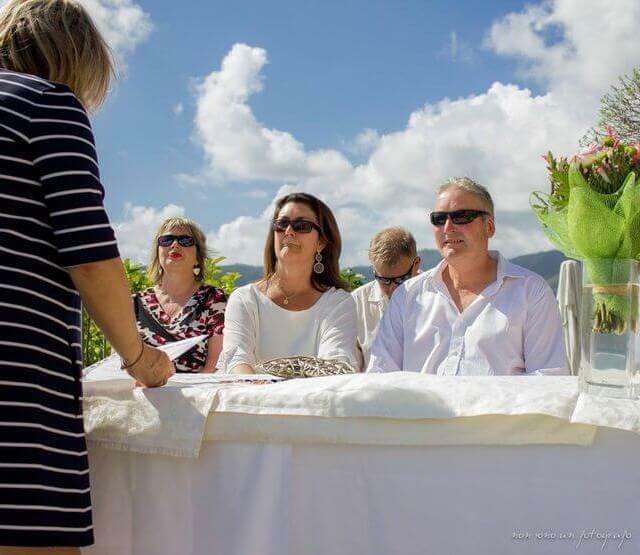 Cinque Terre Riviera can provide an English Speaking officiant, but you can also ask a friend or a relative to offer a brief introduction. And after the introductory speech you can read your own vows. Invite guests – or not. Choose the person you are more comfortable with, those who always were precious for you throughout you. You can invite your best friends, your relatives or your co-workers as you would do for a big wedding. But, if you like it more intimate, just you and your husband / wife. You two can renew your vows together and the setting of the Cinque Terre will be your witness. 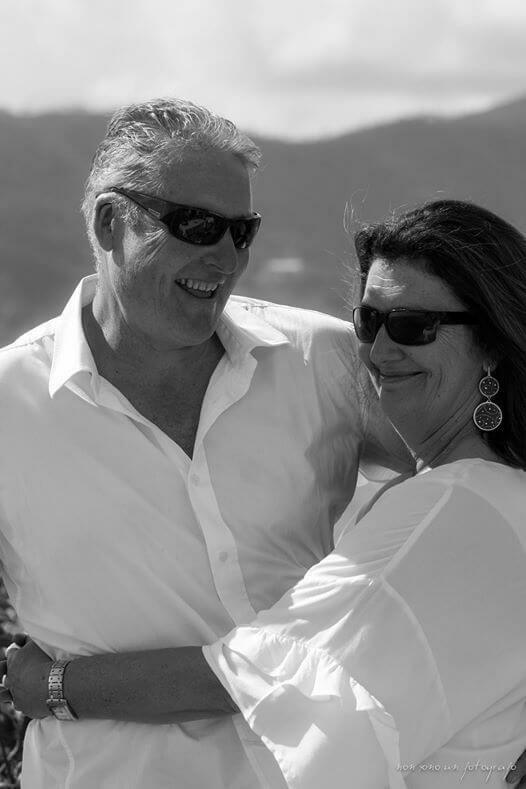 And if you choose Cinque Terre Riviera company services for your wedding vows renewal, well, you will only need to think about what to wear, who to invite, which songs to play and, of course what to say to your spouse! 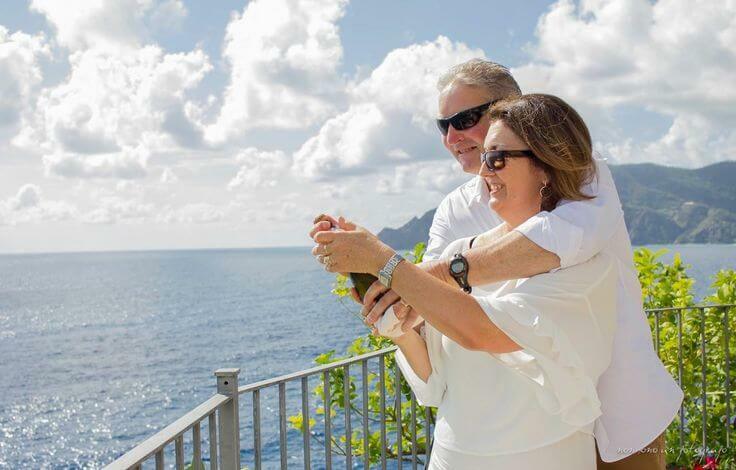 Debra and Mark have chosen Vernazza for their vow renewal! 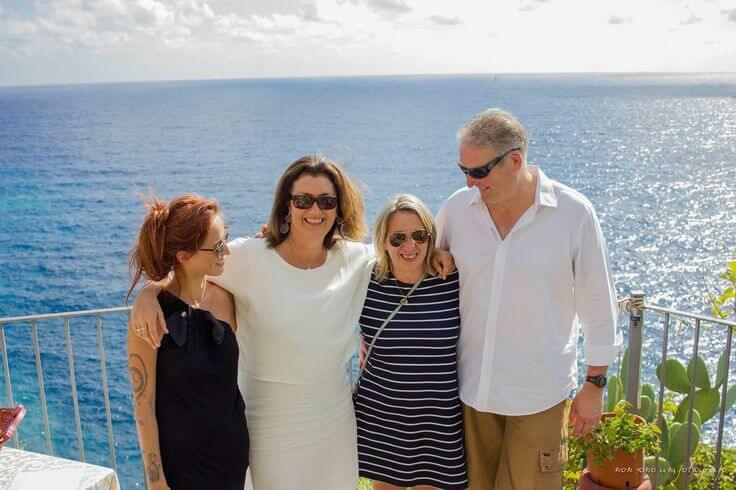 On a beautiful sunny day, our staff organised a romantic setting on a terrace overlooking the sea. Everything was perfect and unforgettable!